Green Paisley Crossbody Bag, Handmade Purse with matching Key Fob is Green with a Zipper opening in the front and a back pocket. It's lined in Green & has a long strap for Cross Body wear. 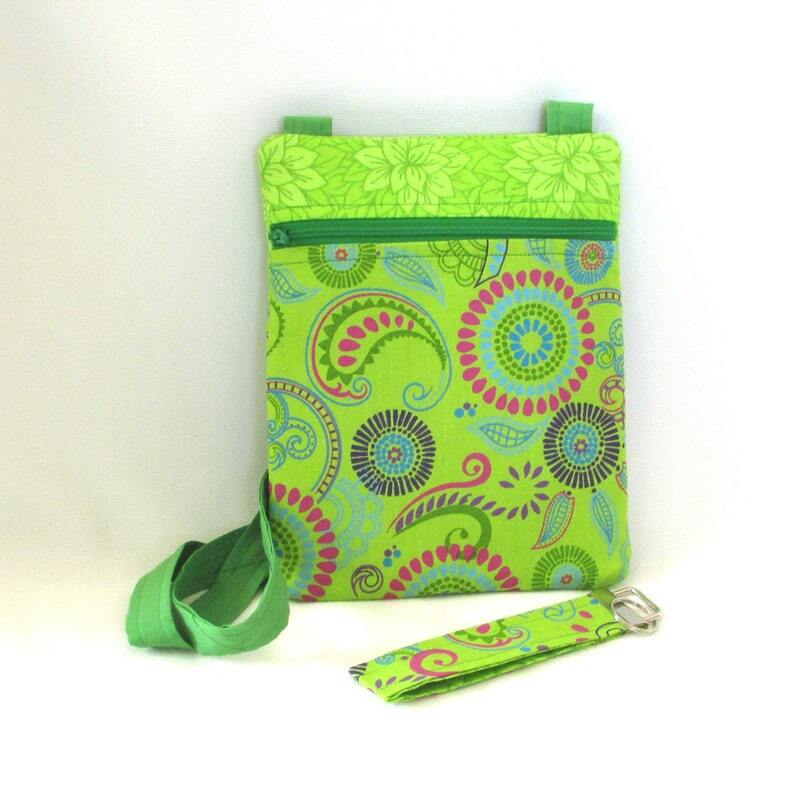 The main fabric is Green with Paisley, Circle & Swirl Designs in Green, Pink, Blue & Purple on a Bright Green Background. The second Fabric & Lining are the same & has Green Leaves that coordinates with the main fabric. 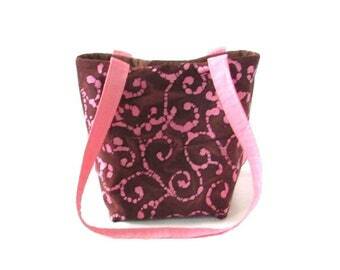 Perfect size for traveling or for those who prefer to carry a smaller bag, but not too small! Just big enough for the necessities.... your wallet, camera, phone, make up, keys.